2017 was dominated by the rubbish strike. Bin bags piling up in the streets, rats returning and your recycling going into the incinerator. The resolution of the dispute was the staff to keep their jobs and have a new responsibility to help householders to recycle more, because the council is paid for paper and card at the mill, so everyone benefits. How sensible! Some movement with the Waste Strategy, which was consulted on in 2016. 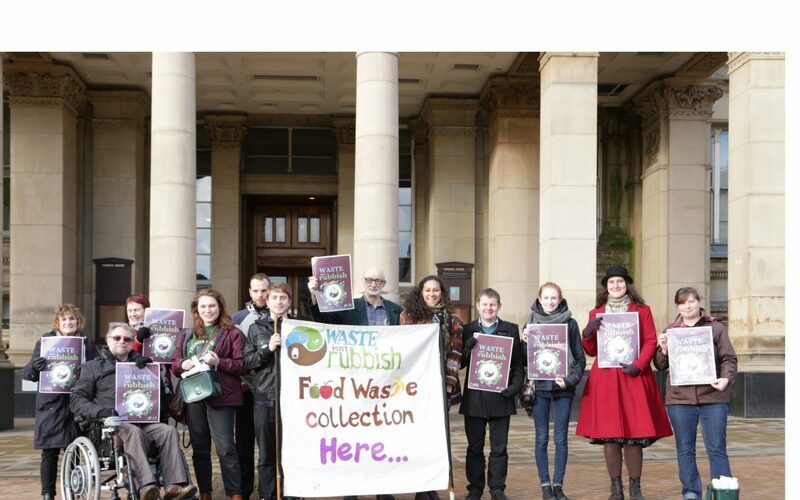 Birmingham Friends of the Earth has produced a detailed report for the council on how the collection system can change, to recover more recyclable waste. The key element would be separate collection of food waste, as in Wolverhampton, Sandwell and other boroughs: it is made into biogas, leaving dry waste to be sorted and recycled. In Birmingham, 48% of rubbish is food waste and another ​_10% garden waste, therefore most of it already wants to rot, not burn. Veolia’s incinerator at Tyseley was not generating for much of 2016, while its corroded parts were replaced, ready for the transfer of ownership to the council in 2019. A replacement will not be built, but to keep the 1996 plant going would cost the council many millions in maintenance. Meanwhile, the High Speed 2 train line is scheduled to demolish the ash treatment plant. Our report has listed all the benefits of closing the burner and we call for any new contracts to allow for its closure. National government is looking at a tax on plastic packing and a deposit on bottles, measures that would divert a lot of what burns from the rubbish stream. The council is doing a feasibility study on having its own Materials Recycling Facility to mechanically sort waste for recycling. They are also writing the first Waste Prevention Plan for the city to move towards a target of 70% recycling from the recent 23%, one of the lowest in the country.